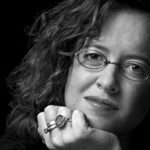 Dr Genevieve Bell is an accomplished anthropologist and researcher, highly regarded industry expert and frequent commentator on the intersection of culture and technology. She joins The Australian National University (ANU) in February as a Professor in the ANU College of Engineering and Computer Science. Dr Bell has served as a Vice President of Intel where she became the first woman in the company’s history to be appointed an Intel Senior Fellow. After completing a PhD in cultural anthropology at Stanford University, Dr Bell joined Intel in 1998, leading the company’s first user experience research and development lab. She is recognised as a world leader in the ethnographic approach to developing technology. Bell has been featured in publications such as Wired, Forbes, The Atlantic, Fast Company, the Wall Street Journal and the New York Times. She is also a sought-after public speaker and panelist at technology conferences worldwide for the insights she has gained from extensive international field work and research. Her industry recognition includes being listed among the “100 Most Creative People in Business” by Fast Company in 2010, induction in the Women in Technology International Hall of Fame in 2012, and being honored as the 2013 Woman of Vision for Leadership by the Anita Borg Institute. Bell’s book, “Divining a Digital Future: Mess and Mythology in Ubiquitous Computing,” written in collaboration with Paul Dourish, was published by MIT Press in 2011.